My stand out memory of visiting Torassieppi during autumn was sitting by a campfire underneath the dark, starry sky, awaiting a potential Aurora display. The silence was so profound that you could almost hear it and it was only ever disturbed by the gentle sounds of wildlife. The anticipation of witnessing the Northern Lights created a sense of excitement amongst the camp and my neck was in a state of disrepair as I was constantly looking towards the sky. The first flickers of green were so quick that I wasn’t sure if it was my mind playing tricks, but the dance that followed was spectacular. 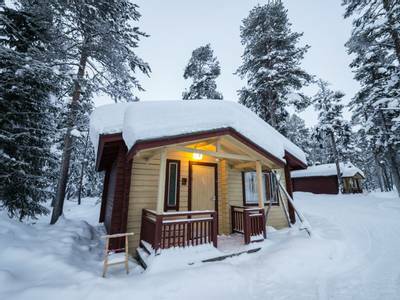 Escape the winter crowds during this 3-night autumn break to breathtaking Finnish Lapland. Torassieppi is a wilderness region away from light pollution and with an excellent Aurora track record. During autumn, you could be lucky enough to see the Northern Lights reflect off the unfrozen Lake Torasjarvi. Torassieppi enjoys an idyllic setting close to the borders of Pallas Ylläs National Park in the north-west corner of Finnish Lapland. Autumn here is a time of change. The landscapes transform into vibrant colour, wildlife becomes more active as it prepares for the long winter, and the nights draw longer following 24 hours of daylight during the summer. This combination makes for the perfect Aurora hunting escape, as not only can you potentially witness captivating displays, but you can also enjoy ‘Ruska’, which is a local word used to describe the changing colours of the leaves which takes place for around two-three weeks each year (timing varies, depending on the weather). A Northern Lights display in autumn can rival those of winter, particularly given the location of the accommodation at the edge of Lake Torasjarvi. You can potentially get two displays for the price of one here, as the dancing lights flicker off the unfrozen lake. Torassieppi is at the heart of the Aurora Zone and the lack of light pollution due to the surrounding wilderness makes for prime Aurora viewing conditions. An Aurora camp is a fantastic introduction to the scientific elements behind the Northern Lights and this is the first of your dedicated activities. An informative workshop will be followed by a campfire, where you will cook pancakes at the edge of the lake, awaiting a potential Northern Lights display. 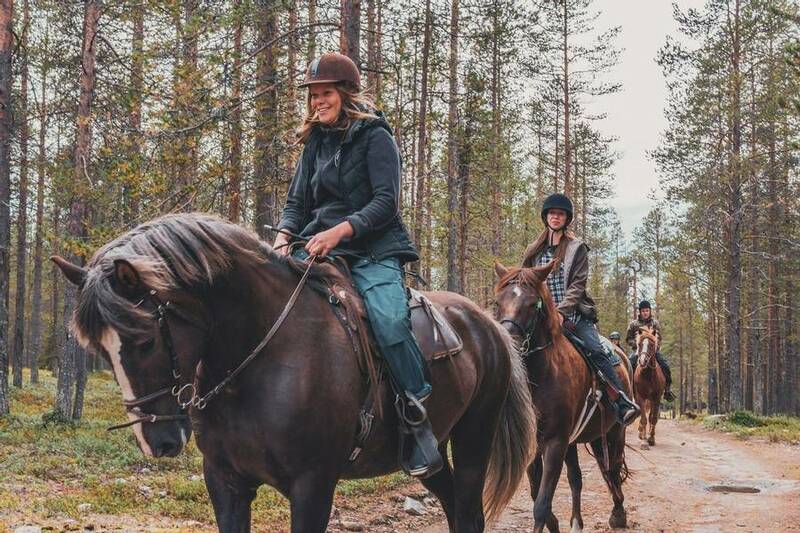 On your final night, a horse riding or minibus tour allows you to venture further out into the wilderness surrounding Torassieppi. 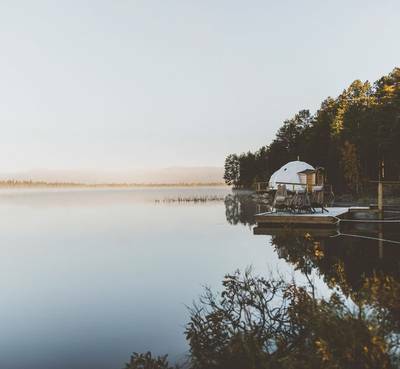 You'll then spend a night in an Aurora Dome, situated on the banks of the lake. The insulated domes contain a large Perspex north-facing window, which provides their inhabitants with the best possible views of the night sky. Imagine the sudden appearance of ethereal colours from the comfort of your accommodation. The dramatic changes of the Finnish ‘Ruska’ season are reflected in the forest and the growth of seasonal produce. 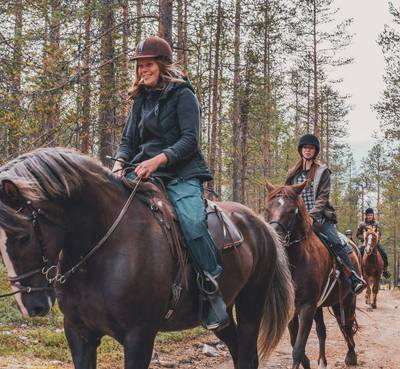 A Lapland foodie experience will allow you the opportunity to forage for berries and mushrooms, which you will help to prepare with an experienced chef over a campfire. You will also encounter huskies, which are beloved animals in Lapland. Enjoy a leisurely hike with these magnificent dogs amidst the colourful autumn terrain. To conclude, this autumn holiday to Torassieppi offers a peaceful escape, away from the winter crowds. 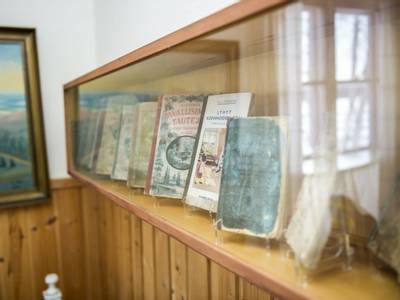 It is specifically designed for seeking out the Aurora but we have also made sure to include some fascinating activities which will introduce you to the cultural aspect of Lapland and the vibrant changes of the autumn season. 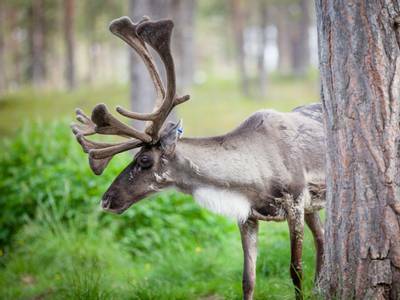 After arriving into Kittilä Airport you will be transferred to Torassieppi Reindeer Farm in north-west Finland. 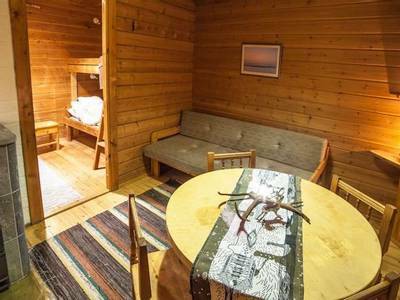 Your accommodation lies on the edge of Lake Torasjarvi and offers a breathtaking outlook towards the Pallas-Yllästunturi National Park, which is the third largest national park in the country. 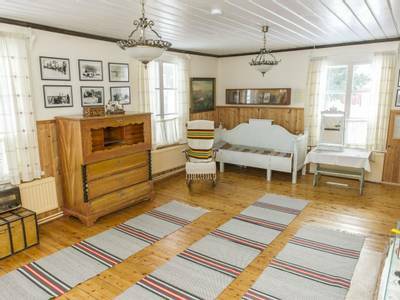 This is a charming retreat during the Finnish ‘Ruska’ and has a particularly rustic restaurant with a cosy log fire from which to enjoy your evening meal. Torassieppi has very little artificial light and is ideal for Aurora hunting, tonight you could step outside your accommodation and search the skies for your first glimpse of the Northern Lights. 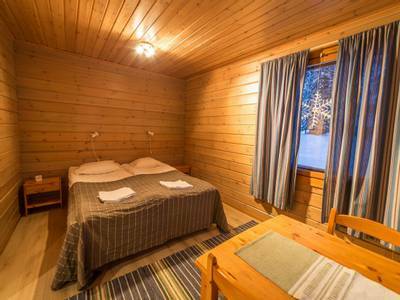 After your first night in Lapland, you will undoubtedly awaken with an eagerness to explore your new surroundings. A rewarding way in which to do this is hiking with huskies, which are much-loved animals in the Arctic. Traditionally used for dog sledding when the snow arrives, hiking with huskies in the autumn gives you the opportunity to get closer to nature and really appreciate the beautiful surroundings. The dogs love the fresh air and walking and you'll have a companion as you take to the trails. The hike will take approximately three hours and you will enjoy picnic snacks along the way. Following the hike, you will return to the hotel with the remainder of the afternoon to enjoy at your leisure. 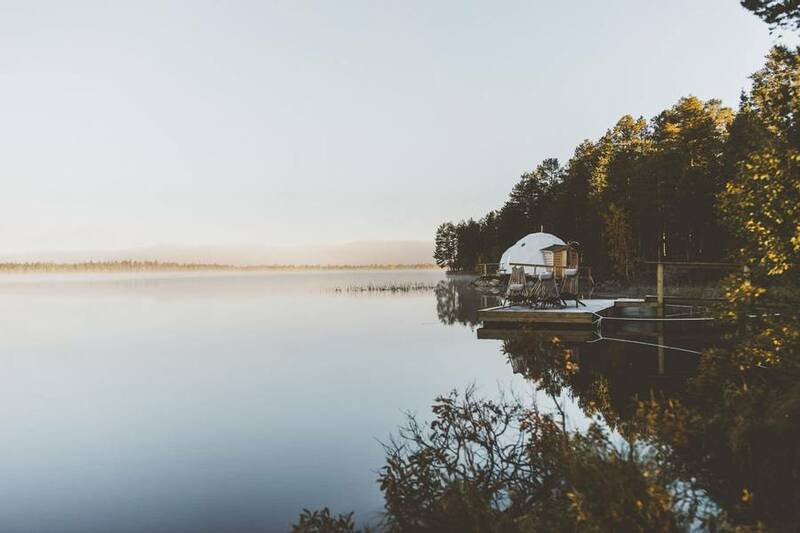 The two lakeside saunas are a fantastic way in which to unwind whilst also enjoying the tranquil nature of the autumn season. Saunas are central to Finnish culture and are a must for anyone visiting Lapland. You’ll enjoy dinner in the restaurant before embarking on your first dedicated Northern Lights Hunt. Your activity will begin with an informative workshop which will give you an insight into the science behind this natural phenomenon. You will then make for the camp, which is ideally located away from any artificial light, on the edge of the lake. Your local guide will make a fire and you can simply sit beneath the starry night sky savouring the silence and await a potential show. The lakeside location of the camp is a particular highlight. It may be possible to witness two Aurora displays for the price of one as the lights reflect off the dark waters. A particular highlight of the Finnish ‘Ruska’ is the constant change. The dark nights grow steadily longer and the summer colours transform into autumn shades. An array of seasonal berries and mushrooms grow in the nearby forest and these make the perfect accompaniment to a delicious meal. Following breakfast, you will venture into the woods and forage for these seasonal delights as you experience the best Lappish produce during an enticing foodie foraging experience. The activity will take approximately four hours and the first part is all about gathering the ingredients. The lake is teeming with fish and should you wish, you can make use of the fishing equipment and attempt to catch the main course, but don’t worry, the restaurant will be on hand to provide fresh fish or meat if required. You will then assist your guide with the preparation of the meal over an open fire, before sampling the fruits of your labour. The dish is likely to taste exceptional, given that you foraged for the ingredients and helped prepare them yourself. During the evening, you will enjoy dinner at the restaurant before heading out for your final Aurora experience. 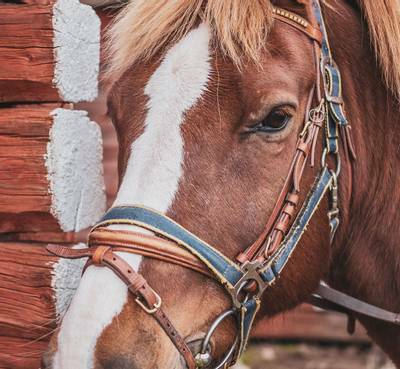 Travelling by horseback (or minibus if you’d prefer), you’ll venture further into the wilderness and on the hunt for Mother Nature’s mesmerising display. Though your journey ends at a glamping site, your search for the Northern Lights will continue as you spend the night in an Aurora Dome equipped with a see-through wall, so you have a clear view of the Arctic sky at all times. Stay cosy in your bed as you warm by the fireplace and look out into the night where hopefully, the Northern Lights will finish your holiday in spectacular fashion. Following breakfast, admire the breath-taking surroundings and take any last-minute photographs before being transferred to Kittilä Airport. You will hopefully be leaving Torassieppi with some unforgettable memories. If you would like to break your journey in Helsinki on the way home then please let us know as we can arrange a tailored city break for you. See ‘Personalise’ section of the holiday page for details. 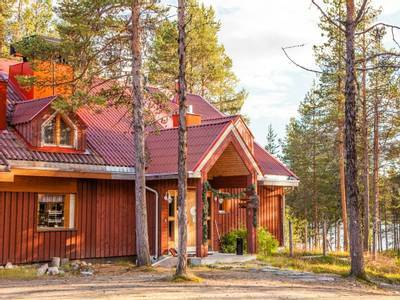 Torassieppi offers 8 detached winter cottages to which you can upgrade. The cottages are ideal for those who want more space or for larger groups of people. Located close to the main restaurant, they are only a short walk away through the snow-laden trees and close to the frozen lake beyond. 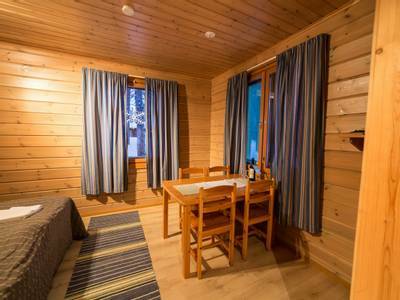 The smaller cottages contain a fireplace, living room area, toilet, shower, hairdryer and kitchenette. There are two bedrooms, one with twin beds and another with three beds (including a set of bunk beds). These can accommodate two to five people, we feel they are ideal for 3 or 4 adults. Torassieppi also has some larger cottages and these have their own sauna in addition to the fireplaces. 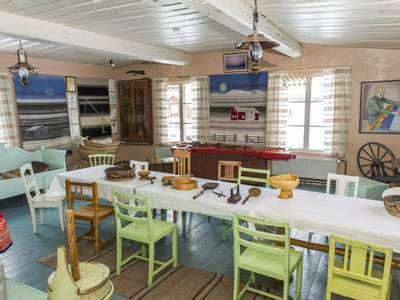 The larger cottages offer a living room area, toilet, shower, hairdryer and kitchenette with a kettle. 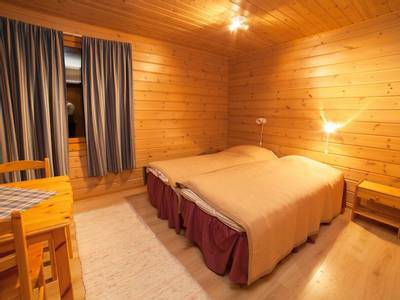 They have two bedrooms which have twin beds and a sleeping alcove with bunk beds. Whilst they can sleep up to 6 people, we feel that they are most suited to 4 or 5 adults. Please contact our Travel Experts for a quotation if you would like to upgrade to a winter cottage. With our destinations being so remote, the majority of flights to Finnish Lapland are operated by Finnair and therefore involve connecting through Helsinki Airport. Many of our guests choose to extend this stop and spend some time in the Finnish capital, either at the start or end of their holiday. We can arrange a wide variety of city centre hotel accommodation for guests to choose from and some options closer to the airport should you prefer. 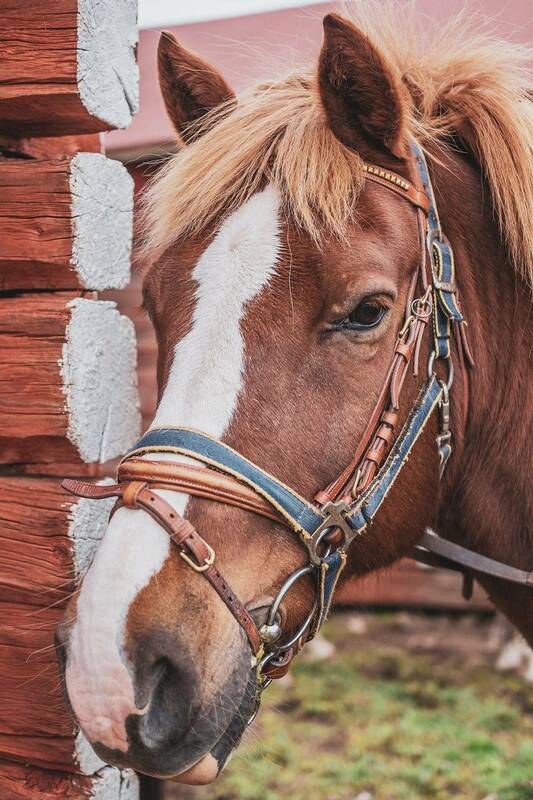 We know that everyone tends to be looking for something different so please contact our Travel Experts for their opinion on the hotels which may best suit you and your party. Located on the peninsula of the Baltic Sea, Helsinki enjoys a charming coastal location and has much to offer its guests. This thriving city has a rich culture and arts scene with many museums and galleries to enjoy alongside the exciting gastronomy. Despite its cool urbanism and a reputation for cutting-edge design, Helsinki also retains its charm and visitors will enjoy this city's very friendly atmosphere. In the city itself, Senate Square is the main feature, showcasing neoclassical architecture and offering easy access to the surrounding shops. With Helsinki once part of the Duchy of Russia, it offers similar striking architecture, with wide streets and bold facades. For those looking for more of an insight into the city's past, we would suggest visiting the Ateneum Art Museum which houses over 20,000 pieces of art or the Helsinki Design Museum which showcases the history of design in the country from traditional folklore to postmodernism. A 15-minute ferry ride from the main city is the UNESCO-listed Suomenlinna Sea Fortress which was constructed in 1748. As well as being a unique monument, it is also a lovely day trip, as the island has numerous shops and parks to explore. Helsinki's food scene has seen a recent evolution, with a growth in street food which showcases the city's multicultural population. Helsinki is famed also for its specialist dishes of seafood and Russian cuisine so there is much to sample! Finland is famed for its coffee consumption so you can be sure of a thriving café culture here. Be sure to include an obligatory stop for a coffee and a cinnamon roll during your explorations! Whether you add your city break onto the start or the end of your holiday, spending a night or two in Helsinki is not something that you will regret. Please contact our Travel Experts for a full quotation. All city breaks are subject to flight availability.